Ramadan is a beautiful month of contemplation like most festivals around the world are and fasting that is part of most cultures in one form or another is a practice of will power and selfrestraint.However, during Ramadan much of this spirit is lost in a world of abundance and a fast paced life.Ironically we end up with more celebration of food and less of the spirit it embodies.So,let us take a moment and also a step back ward and contemplate on what Ramadan means to us and what are the goals we seek to fulfill in this month. Health: being on a fast for 15-16 hrs at a stretch means to understand the pangs of hunger and also strengthen will power by giving up food and water.It is also meant to create empathy toward the poor and the starving so we are thankful for the bounties we have and at the same time sharing them with the less privileged of people around us. Unfortunately we end up doing the opposite,too much time is spent on cooking over eating over spending on lavish parties and keeping our family members involved in the kitchen with less time for spirtual gain. Plan your menu weekly before you do your shopping for the week.This saves time and money as you don't end up buying things you probably may not use or end up wasting a lot of it.You will find a variety of recipes online you can use to plan the whole month without repetition.Make sure you involve your family in this menu plan so all are satisfied sticking to a goal of healthy Ramadan. Keep it simple - too much of oily foods are taxing on the tummy and you end up with ill health contrary to what this is supposed to do which is to detox your body by eating less and changing the rhythm of your body.Avoid oily fried food stuff but if you absolutely must then restrict it to one fried food item a day.Dahi vada is a good thing that features regularly on Iftar tables.You can make the batter for upto three to four days and keep in the refrigerator.Moreover, oily foods cause heart burn and acidity. Prepping: as I have mentioned above you can weekly prep your stuff in advance like marinating chicken,preparing dahi vada batter,making haleem for the whole week and storing it hygienically in the freezer in portion sizes, wrapping samosas and freezing them for a week etc.This makes the work easy. 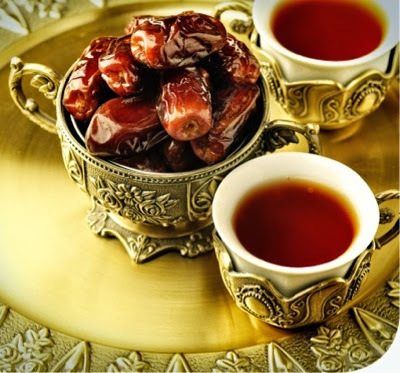 Include fruit and vegetables - your Iftar table should pack the maximum punch with fruits and vegetables at least a fruit and vegetable salad featuring seasonal produce of a minimum of five varieties.These replenish the body give you fibre and nutritional benefits too. Take a break - Ladies take a break don't feel guilty inform your husband that one day in a week you are going to put your feet up and either your husband prepares the Meals or you order in so you get a breather and also time for your worship.As most ladies feel frustrated that they are tired and don't get to spend more time in spiritual devotion you must simply take a day off a week to focus on other priorities.Husbands do make it a point to go out and treat your wife to a lavish Iftar at a restaurant it's payback time for the whole month your wife dedicates to help you keep your fast, you may not realize but the woman is the Ferris wheel that keeps you going strong during fasting. Plenty of fluids Since it is summer time, drinking plain water all through the evening leading upto the pre dawn meal helps you stay replenished with fluids through the day. Avoid salt and salty food like chips pickles and crisps as it increases thirst and the same can be said of caffeine,limit it to two cups one at Iftar and one at suhoor instead of drinking cups of coffee all through the night. Reserve a weekend for your festive shopping and preferably finish it all before Ramadan begins so you are less tired in the evening which carries on to the next day of fasting. If you plan to party then you can save every ones energy and efforts by making it a potluck where everyone pitches in and brings a dish so it is easy on you and your pocket. At suhoor make sure to increase your protein content by including egg whites, chicken,oatmeal,protein shakes if you plan to exercise and,your meals especially the morning meal should contain a good blend of whole grain carbs and lean proteins and fruits to see you through the day.Break your fast with dates and eat light and include plenty of vegetables and beans.The whole point is that you don't feel too heavy through the evening. If desserts are an absolute must then restrict to one a day and dump the sugar and use raw honey and agave nectar which are low on GI. Drink a lot of water when you spend the most part of your night in worship. Don't forget your exercise schedule it for the night or early morning. 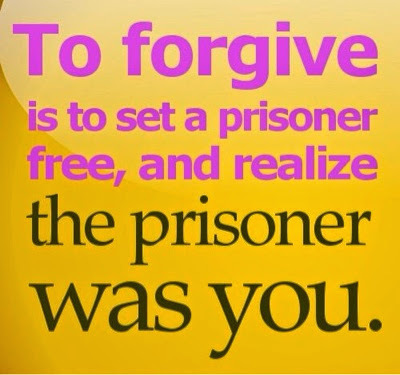 Let go:The last thing as we detox our body it becomes necessary to detox our mind and hearts too.Without being too didactic all I simply mean is letting go of anger,hurt,resentment,envy and negative vibes we have kept trapped within us for others who may have hurt us.This simple exercise by going back to our past and unlocking the cages of pent up emotion against others does one great thing of freeing us from all the toxicity of negativity that builds up in our body and we soon begin to notice feeling lighter.Forgiving and forgetting, as we seek forgiveness, doing it every single day until nothing remains and trust me it works better than any pill to keep you healthy and radiant.Wishing all the readers happiness and Love.Stay in bliss! My Muslim friends here in the Philippines are very excited for Ramadan 2014. They said if it wouldn’t start tomorrow, then it would be on Sunday depending on the moon sighting. I respect how much they cherish this occasion and also enjoy it, especially their Muslim delicacies. :D Happy Ramadan to everyone, dear friends and may your purpose be done. Cheers!! Ramadan wishes to you friend. Wishing you all love, peace, health, happiness all through Ramadan and always. A well written piece, as always!